The ambitious plan to "decarbonize" is easy fodder for critics. In fact, it's a much-needed beginning to ensure the planet's health while also boosting the economy. The Democrats’ Green New Deal, an ambitious plan to “decarbonize” the economy and avoid the worst effects of climate change, is easy fodder for critics. In fact, though, it’s a much-needed beginning to ensure the planet’s health while also boosting the economy. It uses language that recalls the party’s greatest achievement, the original New Deal of Franklin Roosevelt. The problem is that the New Deal was made possible because of an immediate national emergency: The Great Depression, with unemployment at 25 percent. Commanding Democratic majorities in the House and Senate turned it into law. Once in office, FDR’s genius was a willingness to experiment with the ideas from his “brains trust” of advisers. So the first iteration of the New Deal contained vital policies such as banking reform, establishment of the Securities and Exchange Commission to regulate Wall Street, infrastructure projects to boost employment, as well as blunders such as the unconstitutional and ill-advised central planning mechanism, the National Recovery Administration. Some of Roosevelt’s biggest successes came from supercharging programs begun under Hoover. Turning to the present: Climate change is the biggest crisis humanity has faced in eons. But it’s creeping slowly — although faster than climate scientists had expected. A Pew Research Center poll last year found that most respondents believe climate change is affecting their communities. Addressing emissions seems daunting, however, especially given well-funded resistance from the fossil-fuels industries. Long-ingrained customs are hard to break, too. Many Americans equate their motor vehicles with independence. 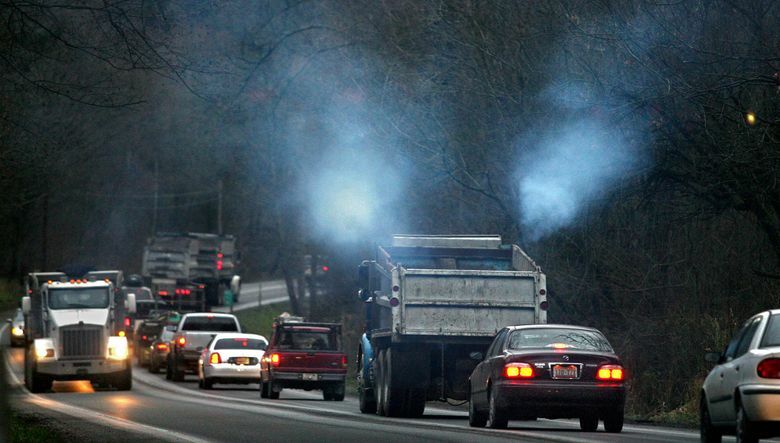 Washington state, though supposedly blue, couldn’t pass a modest carbon tax. Deep-blue California’s new Democratic governor just significantly scaled back the state’s struggling high-speed rail project. France — quelle surprise! — was forced by protesters to back down from a carbon-tax increase. Not only that, but the economy continues to do well, heading into record territory for an expansion if this momentum lasts past July. Most of that economy rests on fossil fuels. As an aspirational document, the resolution is welcome. And as long as the Senate is controlled by majority-red states — likely a long time — the Green New Deal will at best be a blueprint for slow change at the margins. Those actions won’t be enough to stop climate change’s growing threats. For one thing, younger people who believe in science, and who will live through worsening climate change, could change the electoral calculus. One key is to convince enough people that addressing climate change doesn’t mean damaging the economy. Renewables are becoming more cost effective vs. fossil fuels. Building the components for wind, solar and (an argument the left must settle) nuclear power can mean jobs. So does building and operating high-speed rail, especially between relatively close city pairs, such as Seattle and Vancouver, B.C., Dallas and Houston, Phoenix and Los Angeles. These routes would reduce the need for greenhouse-gas-producing airliners and free them for longer routes, as has happened in Europe. The United States is the only advanced, urbanized nation without high-speed trains. Freight lines could be electrified. More federal funding for transit would give travelers within metro areas more convenient options, while also creating more jobs. “Upgrading and building affordable housing — near job centers and transit, and to the highest standard of energy efficiency — would help meet an urgent need while enabling green-workforce training,” she wrote. Meanwhile, the federal government could invest heavily in research for green technologies and industries, which could then be transferred into practical applications in the private sector. Taken together, these investments and policy changes would make America a leader for the future again, something sure to be seen and acted on in China and elsewhere. If this smacks of dreaded “industrial policy,” we already have one. Incentives for fracking, rolling back pollution standards under the Trump administration, maintaining armies and fleets to keep oil flowing, and decades of subsidizing sprawl — American industrial policy has been based on burning carbon. In the future, if we’re to have a future worth living, policy must keep more carbon in the ground. The costs of carbon must be accounted for, rather than concealed in the damage done to the global commons. It won’t come quickly, barring a catastrophe that suddenly opens the door to the full Green New Deal. Many renewables require fossil-fuel inputs. But we can make starts on a host of fronts. The private sector is already working to reduce emissions. Detroit wants to build electric cars — although these, too, must these days usually be powered by fossil fuels at power plants. Two European entrepreneurs are working on technology to cheaply remove carbon from the atmosphere. But techno-magic alone won’t save us. Some fundamental changes must be made, and the Green New Deal is a good start. Last year marked the 50th anniversary of the flight of Apollo 8, where NASA broke its cautious rules and sent a manned spacecraft to orbit the moon and return home. The successful mission — a shining example of what an ambitious America can do together — produced the iconic photo “Earthrise” by astronaut William Anders. The image, the first time we saw our blue oasis floating in black infinity, is credited with energizing the environmental movement. That oasis has seen its human population double since then, and the threat of climate change become undeniable. Critics of the Green New Deal need to be pressed: What’s your alternative? Because doing nothing is not an option.